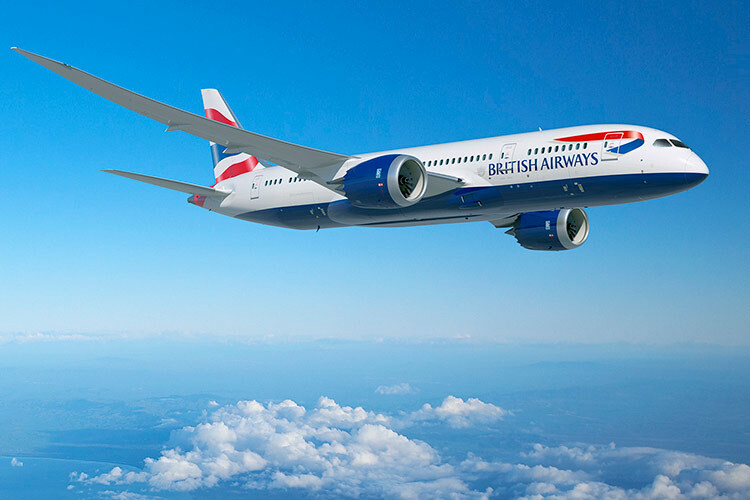 Flag carrier British Airways will bring its latest aircraft, the 787-8 Dreamliner to India in the summer 2014 schedule which starts on March 30th. The aircraft has 214 seats in a three-class cabin layout with 35 business class seats, 25 economy plus, and 154 economy class seats. The aircraft features the latest cabin product of British Airways, though the economy class is the bone crunching nine-abreast seating. 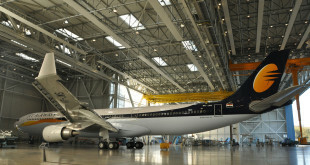 Hyderabad will be the first destination in India, as the airline currently flies a daily 767-300 to the city with 189 seats in a three-class cabin layout with 24 business, 24 economy plus and 141 economy class seats. The most rational explanation for the airline to operate the 787 to Hyderabad appears to be the similarity in size. British Airways is also expanding routes using its new aircraft. Their A380 will begin flying between London Heathrow and Washington Dulles from September 1, 2014. 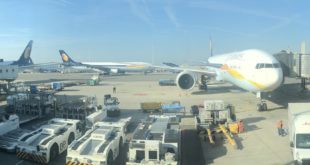 The aircraft is already flying between London Heathrow and Los Angeles and Hong Kong direct, and will start services between London and Johannesburg in February 2014. The airline’s Boeing 787s will fly nonstop between London and Austin, Texas from March 3, 2014, Philadelphia, USA, from June 5 and Calgary, Canada from July 5, 2014. In addition to Hyderabad, the 787 will commence Chengdu, China as another Asian destination from May 5, 2014.